Limits the movement of the metatarsophalangeal joint. 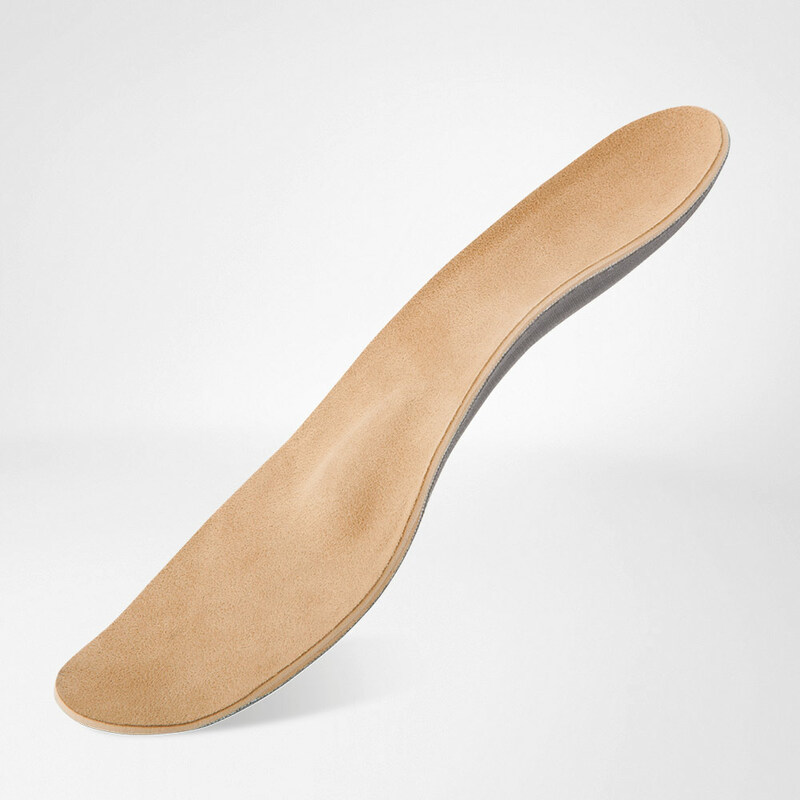 The ErgoPad redux hallux orthopedic orthosis from Bauerfeind limits the movement of the metatarsophalangeal joint in the push-off phase and thus provides immediate relief during painful walking movements. To restrict movement, a reinforcement element made from high-quality, permanently flexible plastic is incorporated into the foot orthosis. This element is positioned underneath the metatarsophalangeal joint and runs along the outer forefoot area and to the tip of the big toe. The thin PU cushion layer cushions the foot and distributes forces occurring underneath the forefoot. The foot orthosis is optimally adjusted to suit the symptoms of hallux limitus/hallux rigidus. Indications: Suitable for people with hallux limitus/hallux rigidus in one foot or both feet (restriction of movement or stiffening of the metatarsophalangeal joint).